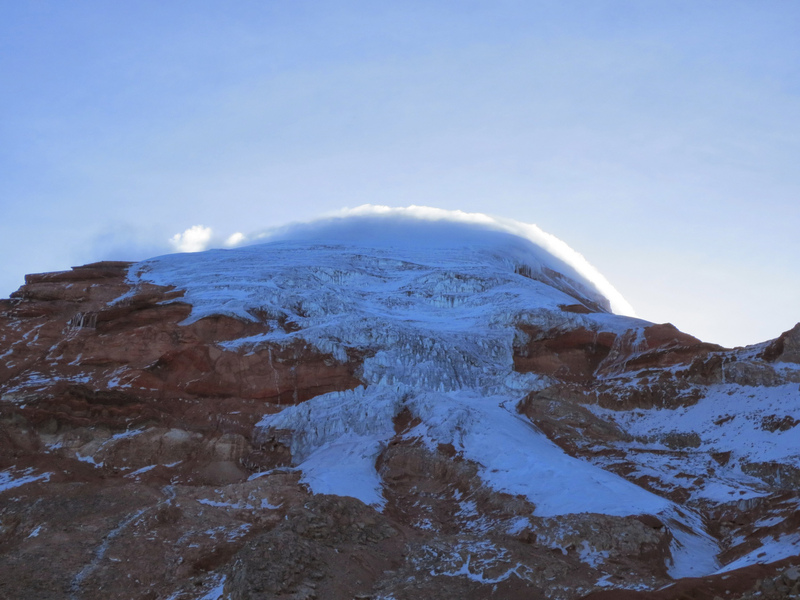 “Hello from Chimborazo. 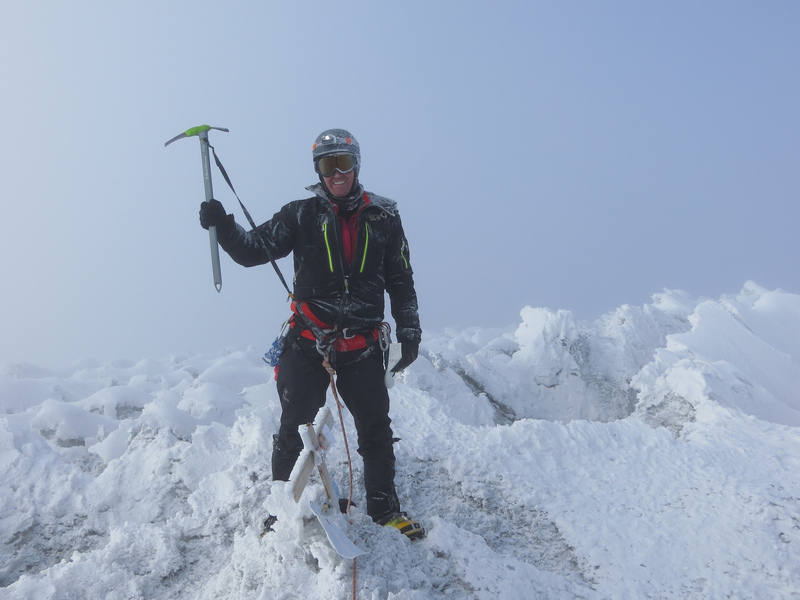 Today was an incredible summit day with great climbing conditions under moonlight and starts. 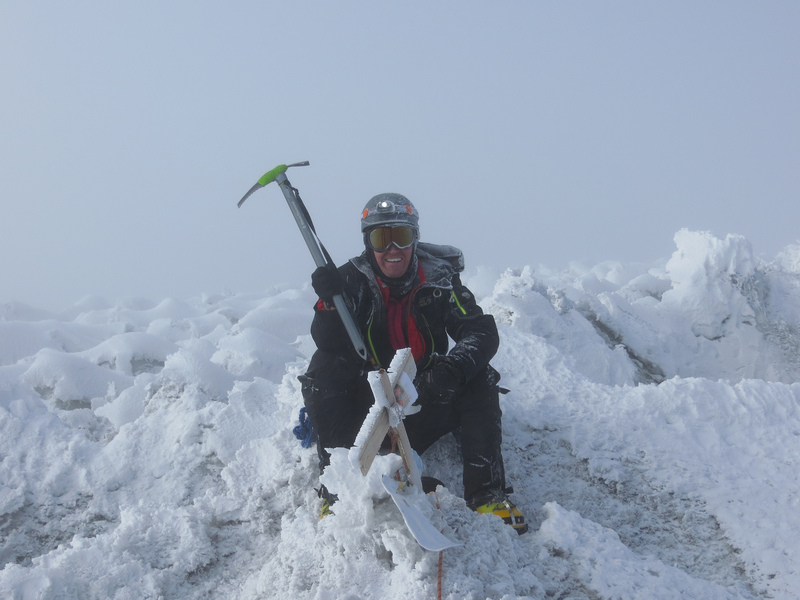 Chimborazo was the final summit and the most difficult; lingering fatigue from the Cotopaxi effort makes one more aware of the attitude. We left from Stubel camp around midnight after energy packed breakfast of oatmeal prepared to perfect consistency by Jose Luis. We reached the first summit around 6:45 AM and made our way over to the true summit through a maze of penitentes. I will admit to being short of breath but my mind was clear and I was determined. We stayed on the summit for about 10 minutes, snapped a few photos and made our way down. The descent was more treacherous than I had thought and Jose Luis reminded me that I needed to stay absolutely focused as falling is not really an option and he had no interest of going down with me. We arrived safely at the edge of the glacier to find Marco waiting for us with tea. After reaching Stubel camp we packed up our gear, scanned the camp to be sure we left no trace, and started the hike back down to meet the rest of the team at the bus. We returned to Riobamba and the beautiful Abras-pungo Hacienda for a relaxing afternoon and dinner. After a couple of Pisco Sour cocktails some of the group decided to go out and enjoy the nightlife in Riobamba and George provided chauffer service. The following day we began our drive back to Quito. We arrived at the hotel Quito in the early afternoon and many of us used the time to enjoy the beautiful fair weather and do some shopping. That evening we enjoyed a traditional Ecuadorean dinner at La Choza that was complimented by outstanding wine and live entertainment. That same evening several of us returned to the airport to begin our journey home. I know each one of us was enchanted by the beautiful landscapes and culture of Ecuador. We were all sad to leave Ecuador and new friends but we left with memories that will last a lifetime. 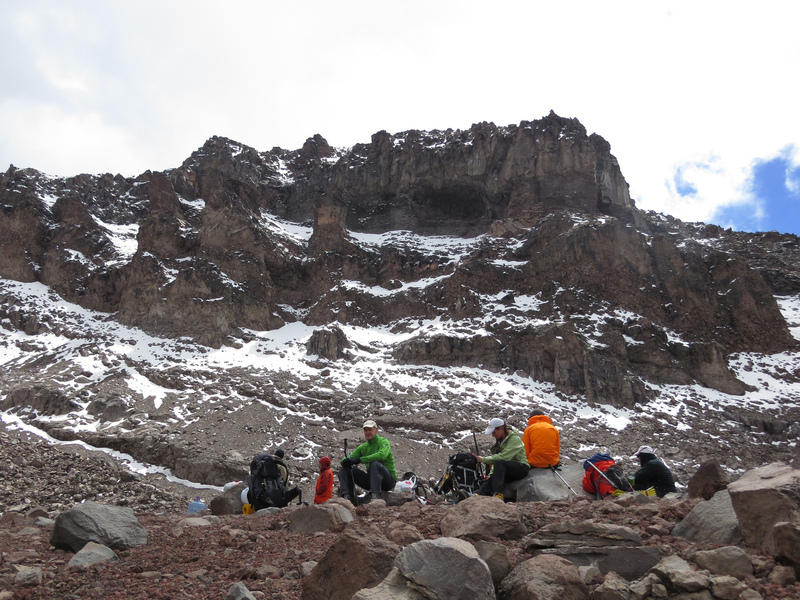 Several of the team have dreams to climb bigger mountains and we were all inspired to “climb on” by our experiences in Ecuador with Jose Luis and his team. Los Gatos de Volcan, over and out.